The Scovie Awards are back for their 17th year and the Early Bird Special runs for another 3 days, meaning the deadline is August 5th at midnight for you to receive $10 off each entry. The Rules are here and the Entry Form is here. We have new and exciting categories this year. Pre-made tamales and pre-packaged chili categories have been added, as well as a “unique” subcategory to all the main categories. Adding the “unique” subcategory will give you more chances to win with all of your products! As always, if you enter 3 you get 1 free and if you enter 5 or more you get 2 free. 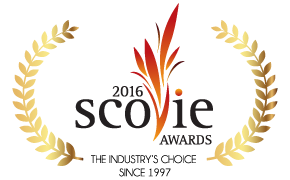 Please visit our website www.scovieawards.com or feel free to call Emily DeWitt-Cisneros at (505) 873-8680. She is here to help!